Over the past few years, we’ve seen a huge surge in digital growth coming from mobile usage above anything else. Furthermore, Google has recently announced its move towards “mobile-first indexing”, where it has updated its ranking systems to primarily use the mobile version of a site’s content to rank pages (versus the desktop version as it currently does). This has been a big wake-up call for many businesses who weren’t already looking at mobile optimisation for their sites. Recent stats below show how the adoption of mobile has influenced conversion, and thus the importance of meeting customer demands for mobile marketing. Check them out, then we’ll consider how these relate to your business and website. Google Analytics is a trove of super useful information that helps you interpret how people on mobile devices use your site. You can then improve your site’s content and marketing to improve how these people perform in terms of staying onsite, converting and returning to the site at a later stage. Nowadays, the majority of businesses have mobile friendly websites, so all their content displays properly on whatever device it’s being viewed on – smartphone, tablet or desktop computers. It goes without saying if you don’t already have a mobile or responsive website . Responsive web design ensures your site will keep pace with the ever increasing multitude of devices and browsers that people are now using to view and interact with businesses and the web. – How many people are actually viewing your website on a mobile device currently? In your Analytics account, go to Audience > Mobile > Overview. Choose the pie graph above the table to see the split of mobile, tablet and desktop users. Remember to set your date range accordingly. We’re typically seeing mobile sessions at around 30 – 40% at the moment, with some industries differing. It’s important to know how many mobile users you have to ensure the decisions you make for updating your site are worthwhile. Your digital marketing and development company can test your site’s performance for different devices to ensure everything works as it should in terms of speed, page loading and functionality. We’re starting to see that people visiting a website for the first time, and converting within the same visit (on the same device) isn’t very common. People want to shop around, research and check competing prices elsewhere. People may view your site from their work computer, mobile phone at lunch and tablet from home for instance. Maintaining the same experience across all these devices is important because users need to find the information they need, whenever and wherever they are. It also aides your brand trust and credibility. – How do people experience your site on different devices? In your Analytics account, the Audience > Mobile > Overview report gives a simple table with key metrics split out for mobile, tablet and desktop visits so you can gauge your site’s engagement and conversion for people on different devices. – The percentage of new sessions – are mobile visitors mostly new or returning to my site? – If this percentage is low, you’ll want to look into ways to increase new mobile visitors to the site, such as a Mobile Google AdWords campaign. Bounce rate – are people on mobiles leaving my site straight away? – If your mobile bounce rate is high, you’ll want to dig into this and determine why it’s high – your site may be slow loading, or visitors didn’t get what they expected when they landed there. Pages / Session & Avg. 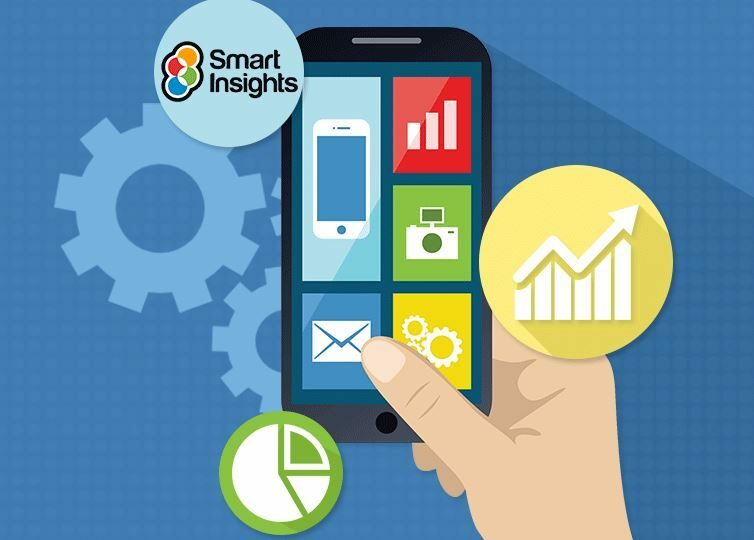 Session Duration – how engaged are mobile visitors? – Sometimes we want duration and session to be short, where it’s an easy path to conversion for a simple purchase for example. Sometimes however we’d want it to be longer, to know people are fully digesting long-form content for example. Depending on your aims and goals, compare these stats to those of people who typically convert onsite to find where improvements are needed. Conversion Rate & Revenue – how do mobile users convert? – Look at the conversion data for each device. Are there vast differences in your conversion rate? If so, you’ll want to look into improving this – is your form long and difficult to submit on a mobile? Are you clearly displaying security credentials to mobile visitors wanting to buy online? There are many things to consider to ensure you’ve got a seamless path to conversion for people on all devices. Most people use their mobile phones to search online, particularly for local businesses such as retail or dining. Knowing how people are searching for you, and ensuring they can find what they need increases the chance of people visiting your physical location. Along with Google Analytics, you can find how people are searching for you online (before they get to your website) through Google’s other webmaster tool, Search Console . This can be easily connected to your website and Google Analytics to provide you more data around how your site appears and performs in Google. Are there any glaring mobile usability problems with my site? In Google Search Console, check your Mobile Usability report via Search Traffic > Mobile Usability. Flash usage – most mobile browsers don’t render Flash-based content, so mobile users won’t be able to use any pages with it. – Viewport not configured – your page code should specify a viewport using the meta viewport tag, which tells browsers how to adjust the page and scale it to suit the device it’s being viewed on. – Small font size – this tells you if your text font size is too small and requires uses to “pinch and zoom” in order to view it, a usability problem that can cause people to leave your site. – Touch elements too close – the elements that people use, such as buttons and menu links, should be far enough apart for mobile users to easily tap that element alone. – How are people searching for my business on their mobiles? Google Search Console can tell you how many impressions (times your pages have shown in Google), Clicks, subsequent click-through rate and average position in search results for certain keywords. In the Search Traffic > Search Analytics report, with a little filtering you can view mobile-only data for your user’s search patterns. Once you’re in the report, select “Mobile” from the Devices dropdown and you’ll see keywords and their data for your selected time period. You can also drill-down to see the pages that consistently show in search results for local queries. This can help you focus on building localised content to cater for mobile users and their search intent. Let us know if we can help with any aspect of your online delivery.